Aren't the borders just magnificent? This is such an accomplishment for me and I cannot tell you how happy I am to have this finished. I had to make a deal with myself that I could not start my next piecing project until this was done.... I have to admit I was getting bored with the borders, but they were SO worth it! Finished this sweet little baby pinwheel quilt - down to the tags... Don't ask me why, but my tags were a huge hold up for me... I wanted them to look a certain way - and I agonized over them - and finally, I created what I wanted. I am quite pleased with the finished result. 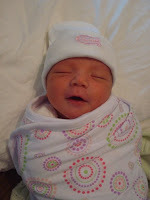 FYI - This quilt is now blessing my newest great-niece Madeline, born September 2nd! Isn't she absolutely beautiful... Don't think I've ever seen a more content & happy looking newborn!! What else??? A pile of table runners! This will mostly be given as gifts - in fact one goes out the door for a wedding gift this weekend. These have been fun - quick easy - took no time to quilt on the longarm (did them two at a time).... and there will be a very large pile of them by Christmas! In the meantime, I'm having so much fun making these!! All they lack is the binding. Today is binding day.... I will have the binding cut & sewn on at least one today... after all one is a gift that must be completed right away. So, again, for me, it's "let's make a deal" time - a deal with myself. I have to put binding on at least one so I can work on my next project.... Something for our home that will grace the kitchen table this fall. This design is "Fit to be Tied" from Pam Bono [Click here to check out Pam Bonos website]... It will certainly be a challenge for me... Looks large doesn't it? Well, here's the pieces, which I did cut out (making deals with self - LOL) ... It's lots & lots of little pieces.... but will be so much fun! After I cut out ALL the binding & get it ready, then sew it on at least one table runner - if not all, then I can give myself permission to start it. Actually, I kind of like it when I complete stuff and feel like I have a clean slate... so, it might be tomorrow before the fun of piecing begins. Can't wait to show off the finished table topper - gracing my table, of course! That's enough for today! Most assuredly have been staying busy ... and I didn't even include the longarm QOV's I've been doing! 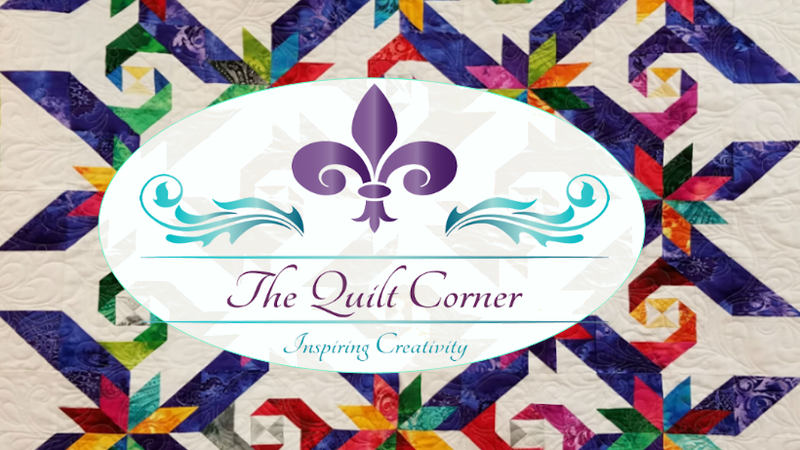 Till next time and we continue on with "Adventures in Quilting!"